This year, the Irish Veterinary Nurses Association (IVNA) celebrates 10 years of Congress with a memorable three-day event in conjunction with our partners Royal Canin, Allianz and Bayer. We have an extensive programme laid out for every nurse to enjoy multiple practical streams in our Friday and Sunday programme, and a full day of lectures on Saturday, followed by our awards, gala dinner and casino night. The 2018 Congress was hugely successful and after analysing all the evaluation forms received and suggestions by our members over the last two years, we set out to deliver one of our most ambitious congress events. For 2019, the exhibition trade show takes place over two days, on Friday and Saturday. Friday is the first practical day, which includes three separate streams. The skin stream starts with Itchy and Scratching – a guide to ectoparasites presented by Doireann Dowling RVN DipVN BA (Hons. Mod.Env.Sci). After lunch, Kerry Lawless from Tick Talk will give an hour-long presentation, followed by Clare Hemmings from Royal Canin on Catering for Nutrition in the Dermatological Patient. After a short break, Doireann Dowling will look through the microscope for the parasitology practical section. Mairead Deacy DipAVN DipHE CVN RVN and Jane Tyrell RVN AdvCert Vphys have teamed up for the Surgical and Physiotherapy stream. Mairead will begin with Surgical Nursing of the Stifle Patient and, following lunch, she will present on the topic of Post-operative Analgesia. Following this, Jane will focus on everyday application of Physiotherapy in Practice. The third Friday stream is hosted by Sinead Sheerin, RVN CertVNECC, focusing on emergency triage, common emergencies presentations, cardio pulmonary and a CPR practical session to close the stream. Following the Friday programme, we will host an opening ceremony in our trade exhibition to celebrate this momentous anniversary with our delegates and sponsors. On Saturday our speakers, Laura Bree MVBDipECVIM-CA and Grainne Lally MVB CertVA, will focus on dealing with the seizing patient from triage, working up the patient and useful diagnostics, anaesthesia and analgesia and long-term management. Our mindfulness lecture, by Dan Tipney, will centre on self-care, stress solutions and mindful practice. After a busy two days, delegates can choose to join a yoga class on Sunday morning, to destress and relax prior to the last day of congress. The Sunday streams will focus on exotics and dentistry. Claire Bloor MA Ed Bsc (Hons) VN RVN PgcE QTLS Cert VN (Dent) and Sara Cowan RVN are teaming up to bring you the dentistry stream. Claire will show us anatomy, physiology and common conditions, moving on to pain management in dental, oral and maxillofacial patients. The practical sessions will deliver probing/charting, scaling and equipment maintenance, and dental radiographing. The exotics stream will be delivered by Garth de Jong. Garth's stream will start with nutrition in the recovering reptile, housing and enrichment for exotic patients, and the practical sessions of the day will be safe handling of exotics. Jennifer Carroll was our winner of Veterinary Nurse of the Year and this was her winning nomination. 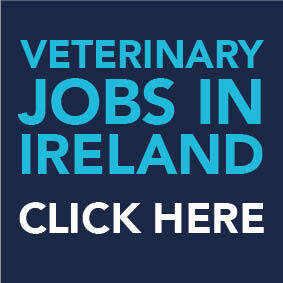 “I wish to nominate Jennifer Carroll for Veterinary Nurse of the Year. Jennifer is a champion for animals in the Bantry area. She started the Rural Animal Welfare Resources (RAWR) charity, which is an entirely voluntary organisation (with over 20 volunteers) which strives to reduce the number of unwanted domestic animals in Bantry and the surrounding area by performing trap, neuter and return for feral cats while ensuring that they will be fed and sheltered by the farm, etc where they currently live. If this will not be the case, she finds a foster home for all of them. Jennifer personally takes what little spare time that she has, to trap, ensure they are neutered and return the cats. Jennifer never hesitates to help abandoned dogs, cats and other small animals, even fostering them herself if she cannot find a home for them. RAWR has a voucher programme to neuter companion animals at a reduced rate. Jennifer personally contacts vets in other west Cork towns to enlist them to accept RAWR’s vouchers. She has successfully gotten four vets to participate. Last year, 670 cats and dogs were neutered through the programme. Last year, Jennifer initiated a Fix It for a Fiver (FIFF) scheme where, for a two-week period, people can bring in feral cats and have them neutered for €5. She has again recruited other veterinary practices to participate. Through this programme, 203 cats will not be contributing to the feral cat population in west Cork. In addition to her tireless work for abandoned and homeless animals in west Cork, Jennifer is a veterinary nurse par excellence. Jennifer is exceptionally knowledgeable but maybe even more important, she is kind, understanding and sympathetic. My dog, who used to tremble at the vets, now wags her tail upon seeing Jenn. Sometimes she even wants to stop in to say hello on our walks around town. I see other non-human visitors responding positively to her as well. Jennifer’s manner with humans is calming as well, I’ll not forget the support I received when my beloved 18-year-old cat had to be euthanised. She was a truly caring and warm individual. On Saturday, we will celebrate our awards night with a gala dinner. Three awards will be presented to honour the 2019 Veterinary Nurse of the Year (sponsored by Royal Canin) and the 2019 Student Nurse of the Year (sponsored by Allianz). This year, the third award has been changed to Practice Manager of the Year (sponsored by Bayer). These awards acknowledge outstanding efforts made by veterinary nurses, student veterinary nurses and practice managers, who go above and beyond for their patients, owners, and colleagues alike. These individuals can be nominated by the public or a colleague. The IVNA awards nominations have officially opened. Each winner is selected through the following process: six finalists are selected in each category from all nominations received by March 31, 2019; the winner will be selected by the sponsoring company; no member of the IVNA committee has any input into the overall winners; each winner will receive a holiday gift voucher along with a trophy; the nominator of the winner in each category will also receive a voucher for €50. If you think someone you know deserves this award for the work they do, please go to our website on www.ivna.ie and fill in the nomination form today. To celebrate the 10th congress anniversary we have special entertainment planned after the gala dinner and awards, with a casino and party night. Join us at the IVNA party let your hair down and hedge your bets in our casino at the blackjack and roulette tables, we have games and more to make this an unforgettable night. It doesn't end there, if you have some energy left after all, that you can dance the rest of the night away with our DJ keeping the party going. As a special thank you for the ongoing support of our members and delegates, we are offering a free ticket to our awards dinner and congress party to those attending the full weekend. Places are limited, so don’t be disappointed and book early to secure a place at what promises to be a memorable and momentous event for Irish veterinary nurses.